So of course I changed my nail polish, I was kind of sick of looking at the blue color. Even though I do love it but it was time. I do recommend anyone who likes or does there manicure at home to get a manicure kit. You can pick them up at most beauty supply stores. I got mine when I was in cosmetology school. It has 2 cuticle pushers one metal, and one plastic, two pairs of different kind of cuticle clippers, nail file, and nail clippers. I also have a kit that I got a a kiosk in the mall that came with a file, cuticle oil, and a 3 side buffer. I love this kit because it removes any stains, or ridges, and helps them grow! 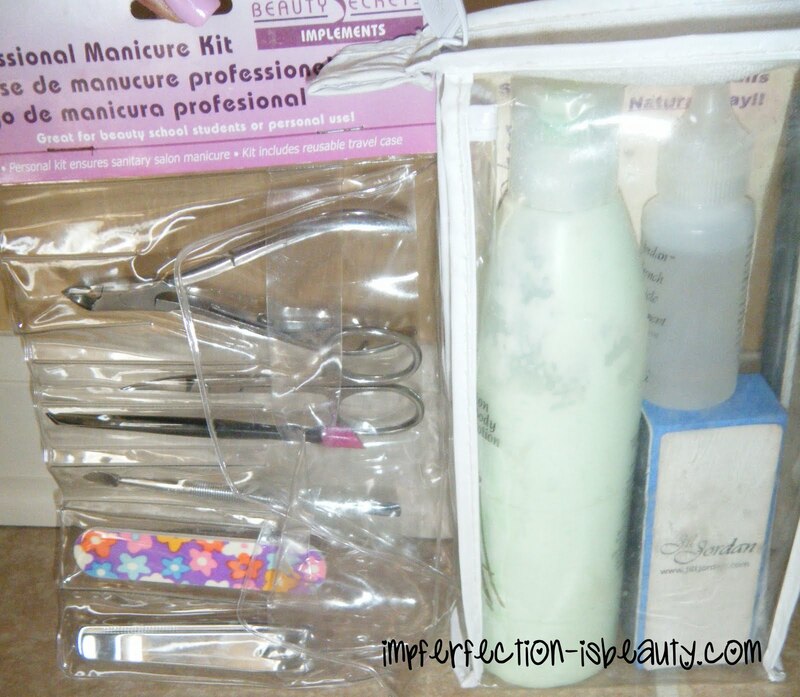 Here's my nail kits that I believe are a MUST have! 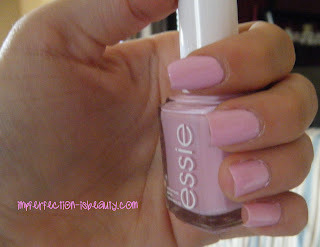 This is Essie ♡ French Affair ♡ Its a softer baby pink. I absolutely love it! Its very chic and sleek and so it!